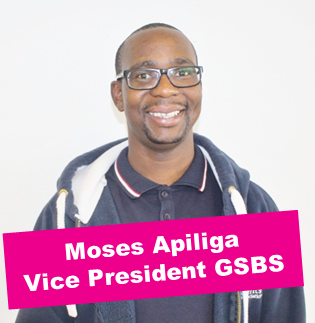 I'm Moses and I am the Vice President Glasgow School for Business and Society. I am responsible for ensuring that GCU students have an outstanding Student Learning Experience within GSBS. If you've got a question or issue about the teaching on your course feel free to email me at VP.GSBS@GCUstudents.co.uk, or drop me a line 0141 331 3886.